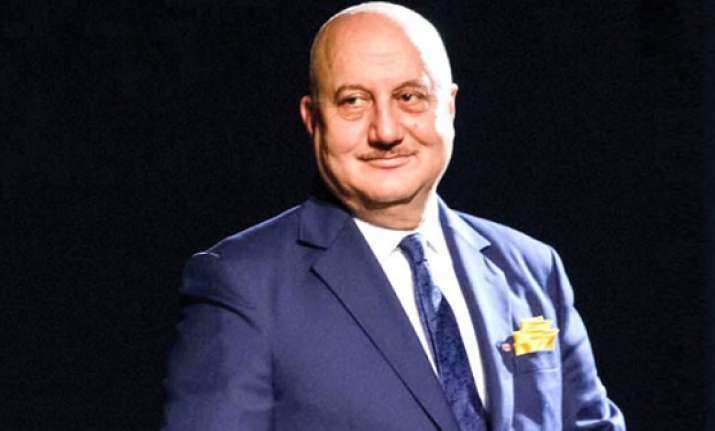 Anupam Kher's resignation letter has been accepted by Rajyavardhan Singh Rathore, who thanked Kher for his services to the premier institute, PTI report said. Bollywood actor Anupam Kher has resigned as the chairman of the Film and Television Institute of India citing commitments to an international TV show for which he has to be stationed in the US. In his resignation letter to Information and Broadcasting Minister Rajyavardhan Singh Rathore, he said that due to his commitment to the show he will be stationed in the US for "nearly nine months between 2018 and 2019 and then for a similar period for a minimum of three years more". "Given this assignment it would not be fair to me, the students and management team, for me to hold a position of such responsibility and accountability, without being actively involved in the operations," he said in his resignation letter. "Thank you staff, teachers and students of FTII for your support and appreciation during my tenure as chairman. As an individual you can always reach out to me. We have constituted a very learned and capable governing body and academic society who will guide you at their best," Mr Kher added in a note of thanks. In the resignation letter addressed to Rajyavardhan Singh Rathore, Minister of Information and Broadcasting, Kher shared that when he was approached for the position by Smriti Irani, former Minister of I&B, he had informed her of his commitments with an international TV show. Since the show has now been extended, Kher is required to be in the US for nearly 9 months between 2018 and 2019, and a similar period for another three years. His letter further states that given his commitments, it would not be fair to the students and the management as he would not be involved in daily operations. The actor also said he would be available for any guidance or responsibility is given to him as an individual. Anupam Kher was appointed as the FTII chairman on October 11 last year, when he replaced Gajendra Chauhan. Gajendra Chauhan's three-year long tenure as the FTII chairman (he was appointed in 2014) was punctuated by several controversies. Within just a few days after Mr Kher was appointment as the FTII chairman, students sent an open letter to Mr Kher, asking him to address nine key issues of concern. Soon after, Anupam Kher featured in headlines after he made a surprise visit to the film school in Pune. In a live video on social media, Mr Kher had said: "I didn't want to go there feeling important, and feeling 'Oh my God, now I have done 508 films and I have been in movies for 33 years, I have done more than 120 plays.' I wanted to go there as a humble student." Meanwhile, NBC's New Amsterdam, starring Anupam Kher, premiered on September 25 this year and also includes names such as Ryan Eggold, Janet Montgomery, Freema Agyeman, Jocko Sims and Tyler Labine in the primary cast. Anupam Kher has also been part of Canadian TV show The Indian Detective, which is expected to resume its second season. In the past, Anupam Kher has been part of several international projects such as 2002's Bend It Like Beckham and the Oscar-winning Silver Linings Playbook. This year, Mr Kher was named in BAFTA nominations in the Supporting Role category for his role in British TV show The Boy With The Topknot.